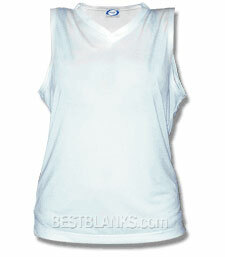 Great For: Beach & lounge wear, trips to the spa, pilates & yoga, cheerleading, and going out on the town. 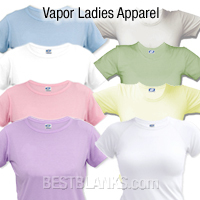 Features: relaxed fit with scoop neck & cap sleeves, wicking factor, sublimation-friendly colors, two needle double-stitch seams, four thread over-lock for extra strength in hem seams. 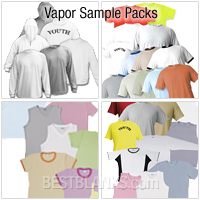 Note: White has been discontinued. 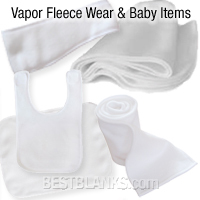 For the true athlete, this compression garment offers a smooth look and feel. 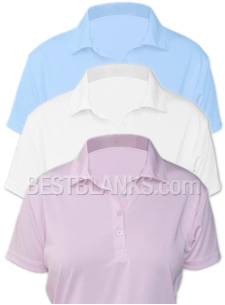 Engineered with permanent moisture wicking technology, this garment provides optimal temperature and moisture control, even under extreme conditions. 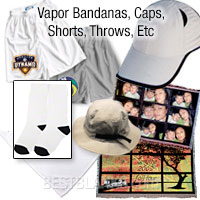 Great For: Basketball, track and field, marathons, surf and beach wear, athletic retail shops. 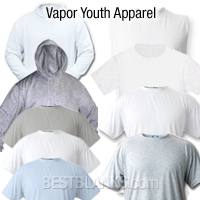 Material: 93% Performance Polyester, 7% Spandex. 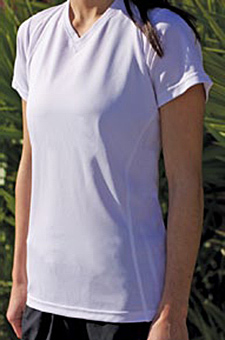 Our most contoured garment, featuring cap sleeves and a longer length. 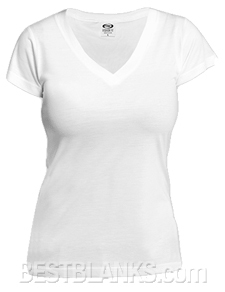 Our Ladies V-Neck Fashion Fit tee features a v-neck collar and tear-away tag. Made from 4.1 oz. 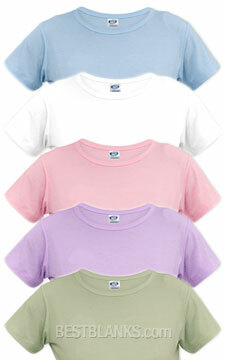 spun polyester, producing a soft hand and vibrant colors. 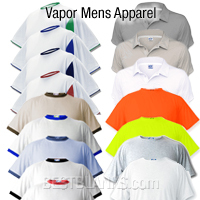 Features: 100% Recycled Polyester, Made in the USA, 4 button placket and self fabric collar.